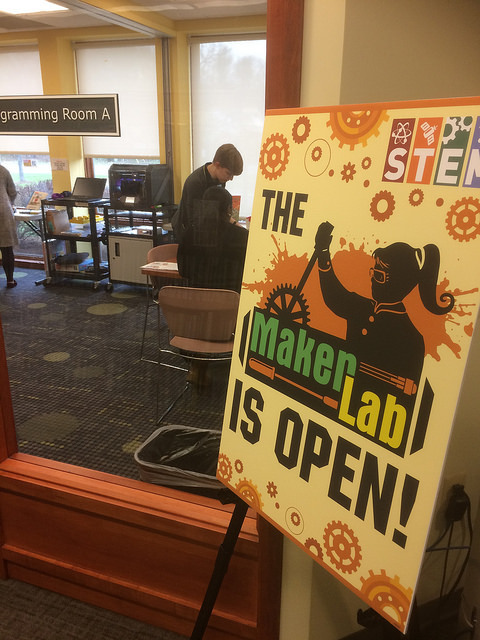 CRRL's newest MakerLab opened at Salem Church Branch beginning in April. This STEM exploration space includes hands-on activities and demonstrations for all ages, including a 3D printer, Ozobots, Snap Circuits, robot arms, Legos, and so much more. Regular hours for the Salem Church lab are every Friday, from 3:00-5:00. Visit our MakerLabs page for information and schedules for all of our labs.